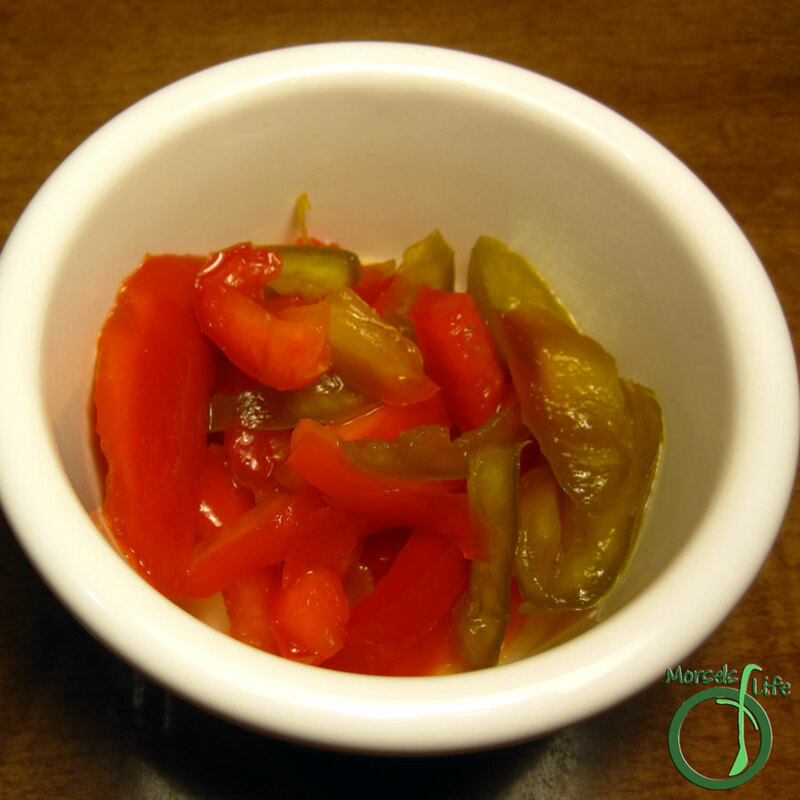 Easily add flavor to sandwiches, pizza, omelets, pastas, or even salads with these super simple refrigerator pickled sweet peppers. We ordered some sandwiches one time, and in addition to the usual pickles, they also came with sweet peppers. As soon as I ate some, I knew I had to make my own. Fortunately, I had some bell peppers I needed to use. Unfortunately, pickling doesn't occur instantly. Sure, it'll take less than 5 minutes to dump everything into a jar, but then you've got pickling time. If you want to store these pickled sweet peppers in the pantry, you'll want to actually can them. Me? I just threw everything together and refrigerated. I actually didn't even bother heating the pickling solution, and these sweet pickled peppers still turned out fine. If you want more pickling spice flavor faster, you'll you'll want to boil the solution first. I don't think it's essential, especially if you'll be storing a long time before eating since the flavors will diffuse out over time but then, I'm no expert. All I know is these don't last long around here! Do you ever find yourself unable to stop eating a food? Which one? 1/2 teaspoon pickling spices I used McCormicks. Mix all materials except peppers until sugar dissolved. Place peppers into a clean jar. Fill jar with pickling solution. Allow to pickle in refrigerator for at least a few days.